This is the second novel from Trudy Adams who is an Australian writer and youth worker. It was originally published in other territories in 2010 but now Onwards and Upwards Christian Publishers have repackaged it and brought it to the UK market for the first time. The novel is told from the perspective of Meghan Manley, a sixteen year old girl living through the great depression in Australia. Due to the influences on our culture, all of the TV series that come out of the US, I was aware of the great depression in the USA, but not so familiar with what it meant in other parts of the globe. However for Meghan and her family, consisting of her Mum, Dad and 4 siblings, of which she is the middle, the effects of the depression is all too real. As we meet the family we start to discover that despite the idyllic setting on a small sheep farm in Australia, things are not quite so great. The bank is about to foreclose on a loan which means that the Manley family have to move out of the property with a horse, van and a few meager belongings. While it is hinted that there is something more behind the reason that they have to move it doesn't make any difference and the family have to leave what they have always known and to try and survive as they travel from town to town desperately trying to find work. As well as Meghan's family we are also introduced to some other people who will become important to the story. Meghan's best friend Julianne for many years, and it turns out that her family will have to move out of the area for similar reasons. Their friends William and Jeremy who seem to be rather keen on the two girls and Victoria, the daughter of the man who wants to evict them, who has bullied Meghan for many years throughout school. We also discover a young lady called Brigitte who Meghan's older brother is in love with and this is something that grows through the story. As the book weaves it's way through the families life and journey, it also tells us the story of Meghan herself. From the early scenes where she faces up to a thief trying to steal one of the family sheep we see that she is headstrong, she acts sometimes before she thinks and she has a very black and white view of the world, and of right and wrong. We also see a young girl who is very unsure of herself and where she fits into her own family. As the middle child she feels that she has nothing to give. She also doubts her looks and wonders if any boy can find her attractive. 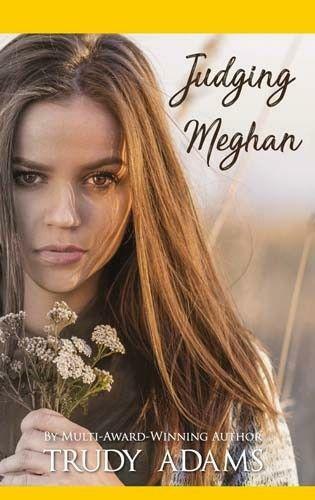 This book may be firmly set in the 1930's with the morals and expectations that are common place for the time, but these same worries for young (and not so young) ladies transcend the setting and Meghan's story can speak into those feelings! The book is written well and the story has some great page-turning moments as we take to life on the road in the run towards Christmas 1931. As a British reader you must keep in mind the difference in the seasons, Christmas in Australia is not the dark, wet and cold weather that we enjoy in the UK, instead it is extreme sunshine. Therefore the family are able to find work at different places that they stop for a few weeks at the time, but they always have to move on. Meghan is part of the families adventure, and we have access to her internal monologue as she worries about family members, but also about her friend Julianne who she expected to be heading the same way as her. Meghan is also allowed to have her own adventure for a time when she is able to leave the family and give us a view of life elsewhere, but I don't want to say too much and give away parts of the story. Along with Meghan's views on herself, she also has a view on an all-loving God who has allowed this to happen to her family. How can her family talk about God and the strength that He gives them and the guidance when He has allowed this situation. In her mind it doesn't make sense and she fights against this idea, not really knowing any more what God even means to her. This book deals with this very real struggle and battle to have faith when bad things happen. 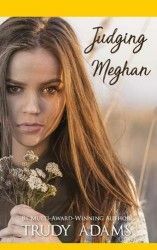 Meghan does learn lessons about forgiveness as she makes her way through the journey but this book doesn't ever feel too preachy or too heavy and it leaves the reader to make up their minds and possibly Meghan never quite makes up hers. I am sure that many teen girls will identify with the main character and her struggles of self-image. I am sure they will be horrified at the idea that people really did have to live like this because of something that happened thousands of miles away in another country. There are twists and turns in the main story, sickness, responsibility, love, faith, justice and more all wrapped up in 259 pages of relatable prose. I am far from the target demographic, but I enjoyed the story and didn't really want it to come to an end, and for me that is always the sign of good writing.